Window construction is still a major topic, and the latest window innovations show how important it is to adapt the machine to new trends. The more and more subtle minimalist profiles favour classical tenoning and profiling angular centers before CNC machining centers. But this cannot be done without innovations. 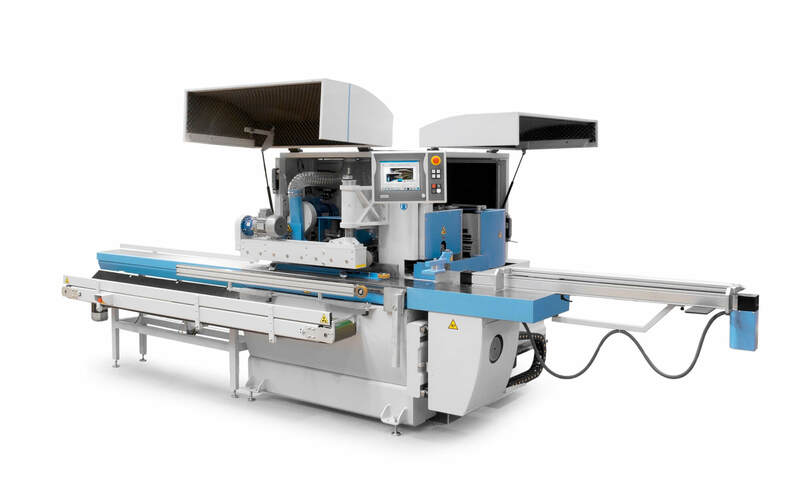 SOUKUP has therefore focused on the innovation of the small, compact angular center CRAFTER, which by its size suits the needs of producing 10-15 windows per shift. Linked with window data entry software is a standard issue, and it is increasingly used to collect data on production, state of the technology and service intervals, that is, what characterizes Industry 4.0. Horizontal programming of the profiling shaft allows working with profiling tools of different diameters, so we can produce different products when using one tool. This is used for machining the frame for a wooden window and for a window with an AL cladding. Previously, we needed two separate tools, today we work with one in different settings. During tenoning we use a different diameter of tools and one tool can serve for several operations. Likewise, each end tenon or counter-profile can be machined up to four steps. This is important for a knock-down method of production, where in addition to the tenon, the end of the part is profiled. What used to be possible on large machines is now also possible with CRAFTER thanks to electronic positioning of tools. By fine tuning, each tool adapts to the actual machining character, eliminating unpleasant “snipes” or profiling into a cone in the knock-down method. The knock-down method is also available for the production of very slender, minimalist profiles, traditional double-windows where it was previously unthinkable. Thanks to the latest innovation, all the important settings are already fully electronic, and CRAFTER in connection with the VERSA CNC boring machine can create a compact production cell for window manufacturers.